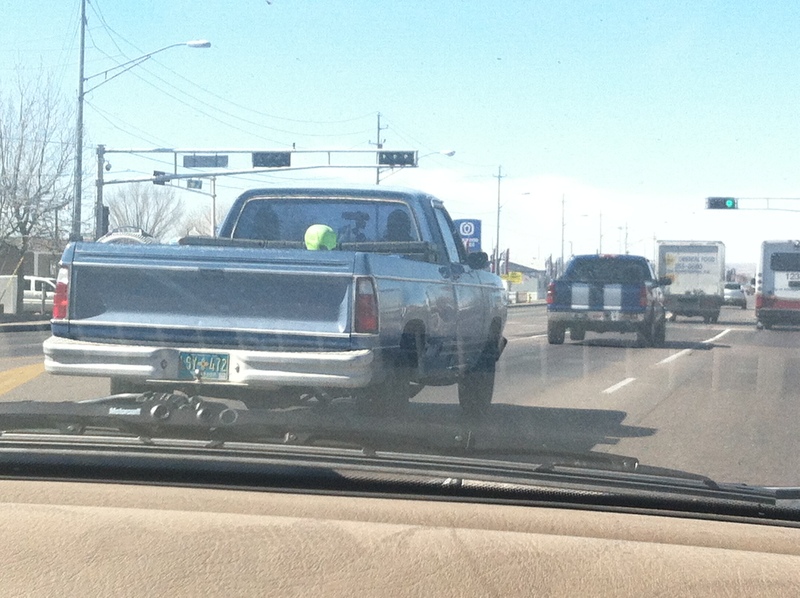 We were driving along, minding our own business, when we saw this truck. 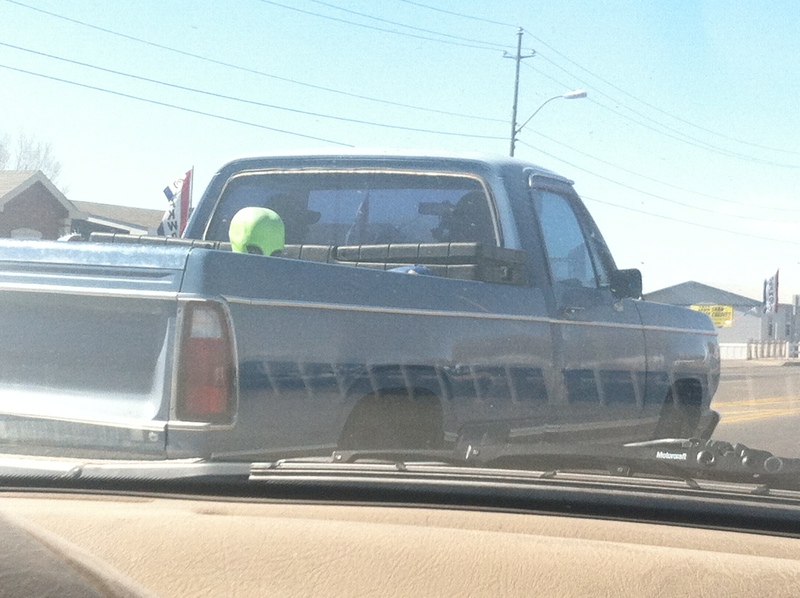 Wait, we thought, what on earth is sticking out of the bed of the truck? We got a little closer. Yup, yup, it is. 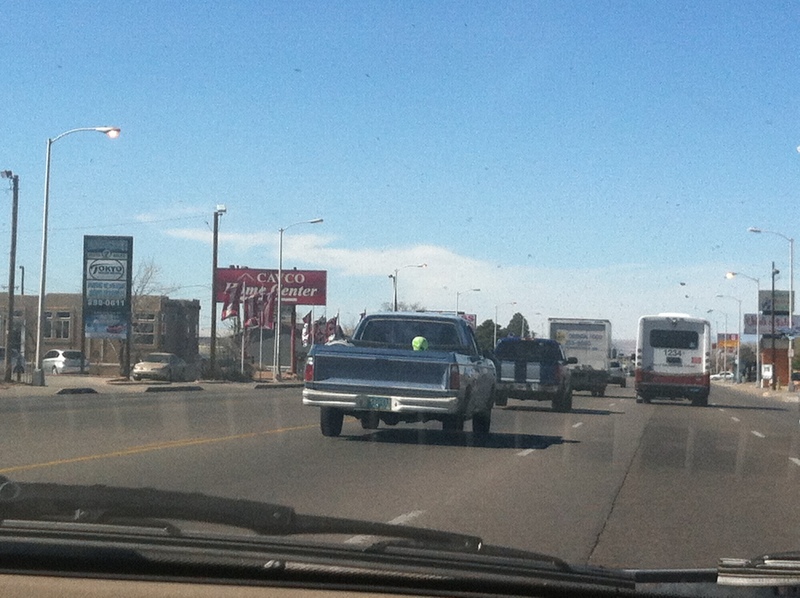 As if you’d expect anything else in Albuquerque.